Lincoln is in trouble and a RWD sports sedan could be the answer. In a little less than two years, at the 2014 New York Auto Show to be exact, Ford will be revealing their completely redesigned 2015 Mustang. It will be a huge event not just because the new model is a Mustang, but also because it&apos;ll be the 50th anniversary of the iconic pony car. For anyone who knows their Mustang history, Ford at one time looked to replace the rear-wheel-drive Mustang with the front-wheel-drive Probe. Obviously that didn&apos;t happen, but Ford was concerned about the future of a RWD sports car due to the rising gas prices during the 1979 energy crisis. While gas is still expensive today, the Mustang has never been better. It&apos;s still RWD and its upcoming replacement&apos;s platform will remain that way as well, albeit with an independent rear suspension. It&apos;s not cheap to develop an all-new platform, but Ford knows it&apos;s a worthwhile investment simply because it&apos;s for the Mustang. But what about sharing that platform with another model, say from Lincoln? Apparently that could be a possibility. According to a report from Car & Driver, Lincoln product planners would very much like to get their hands on this new RWD platform with the goal of building a new flagship sedan. Lincoln is currently struggling and its most direct rival, Cadillac, has several models with RWD. Their entry-level ATS, for example, should give the BMW 3 Series a run for its money along with other German competitors. The best Lincoln now has is a rebadged and re-skinned Ford Fusion, the 2013 MKZ. 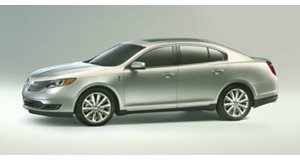 The MKS, meanwhile, is simply a more expensive Taurus with a better interior. What to do? Get a RWD model and the new Mustang&apos;s platform could be the answer. If Ford engineers are able to stretch this platform enough, we could be looking at a proper Cadillac CTS/5 Series competitor as Lincoln&apos;s new flagship. However, nothing is definite just yet because Ford will likely want a sedan version of their own and this could cause potential branding issues. But if Ford is serious about keeping Lincoln alive, going with a RWD sedan is a must-have. 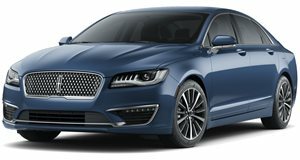 It&apos;s now in the hands of Ford management as to whether Lincoln will actually build a proper performance luxury sedan or simply continue rebadging existing models. With Cadillac having quality issues after a major investment, now is Ford's time to catch up. If only it cared about Lincoln. Lincoln still has a pulse, but it’s a weak one at that and is only kept going by China.